We are engaged in supplying liquid argon gas that is a tasteless, odorless, colorless, non-corrosive, nonflammable and extremely cold gas. Sourced from well known vendors, it is the most plentiful of rare gases that makes approximately 1% of the atmosphere of earth. For convenience it is stored as liquid and is converted to gas by using the vaporizers. 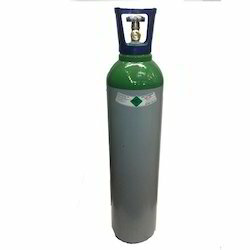 We are engaged in supplying Liquid Argon Gas, that is procured from well-established vendors of the market. It belongs to the family of rare inert gases and is commonly stored and transported as a liquid for convenient transportation.